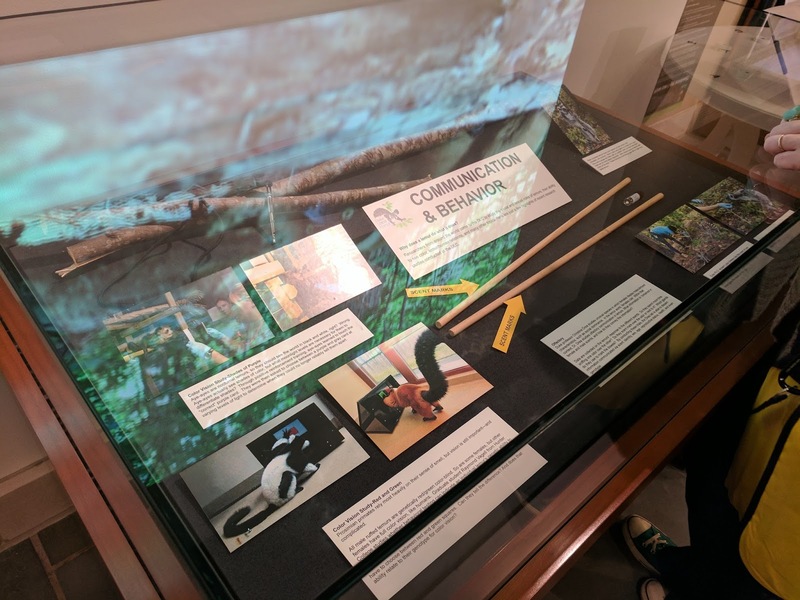 Were you able to check out the "50 Years of Lemurs at Duke" Exhibit In Duke University Perkins Library at Duke University? 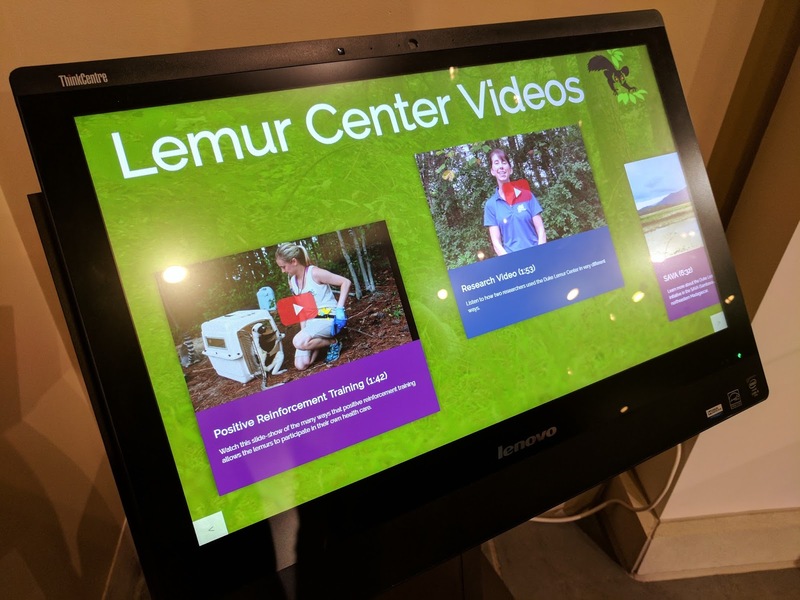 As I have mentioned here before, my lemur color vision research was featured in the "current research" exhibit as well as in an interactive video that talks about positive reinforcement. If you weren't able to check out the exhibit, don't fret. I'm posting the "positive reinforcement" video here today. It's a short segment on how lemurs are trained using positive reinforcement for lemur research. Watch for my cameo, as well as my very smart black and white ruffed lemur Halley. Enjoy! The views and opinions expressed on this blog are solely my own and in no way represent the universities or employers I am affiliated with. Apes Walking Upright: That's Just How They Roll (or Walk). Hobbits Are Indeed A Separate Species, Said Researchers. 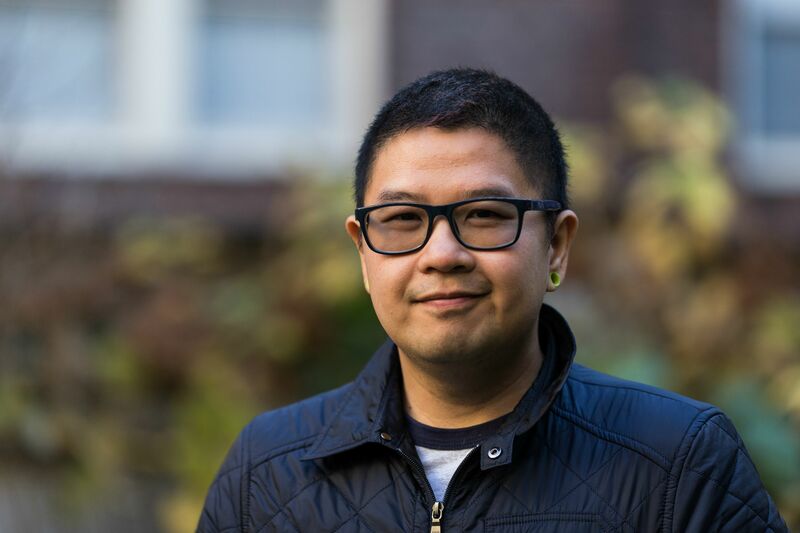 Content including photos (c) 2009 - 2016 Raymond Vagell, except where otherwise noted. All rights reserved.